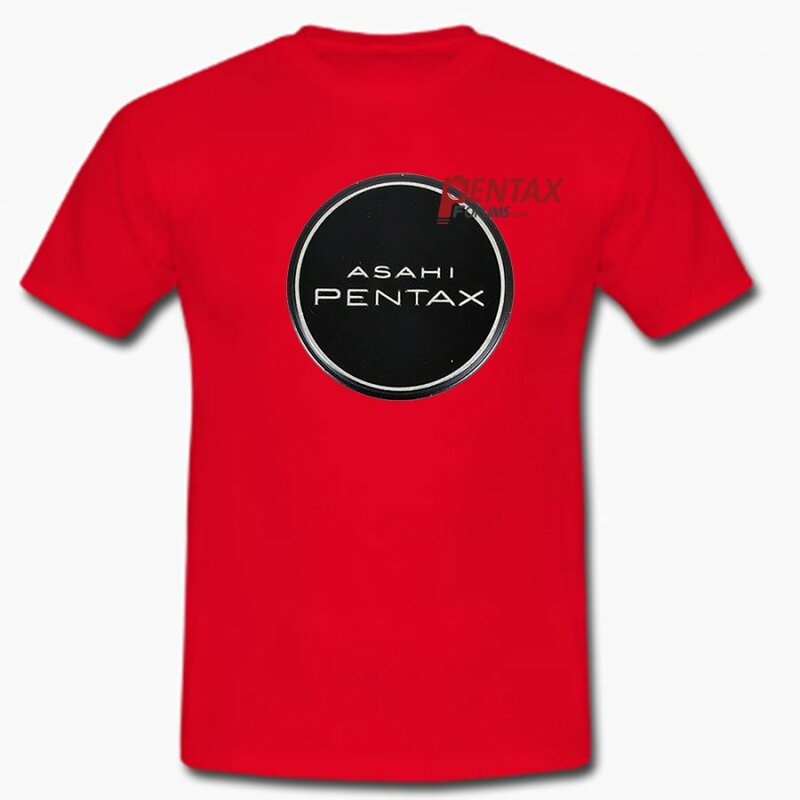 pls receive the new developed T shirt image 2 with small ASAHI PENTAX logo on top left. 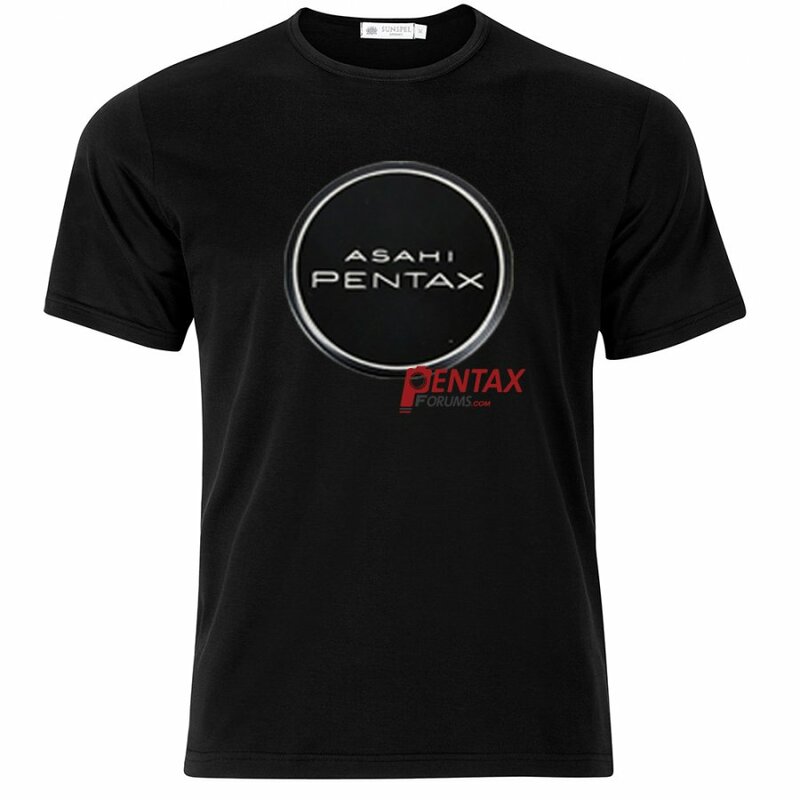 pls receive the new developed T shirt image 3 with small ASAHI PENTAX logo on top left. 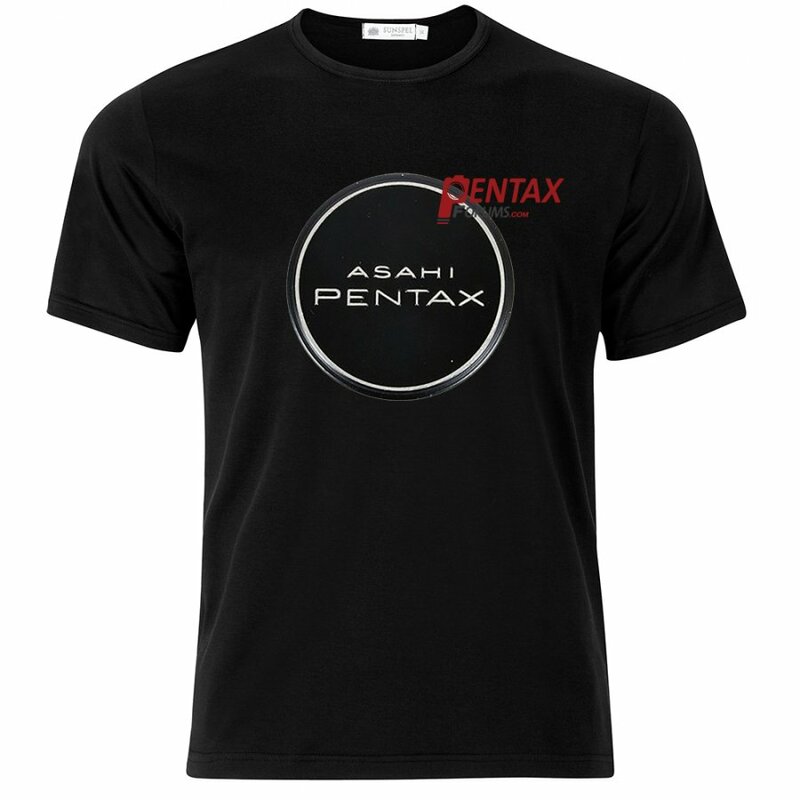 pls receive the new developed T shirt image 4 with small ASAHI PENTAX logo on top left. 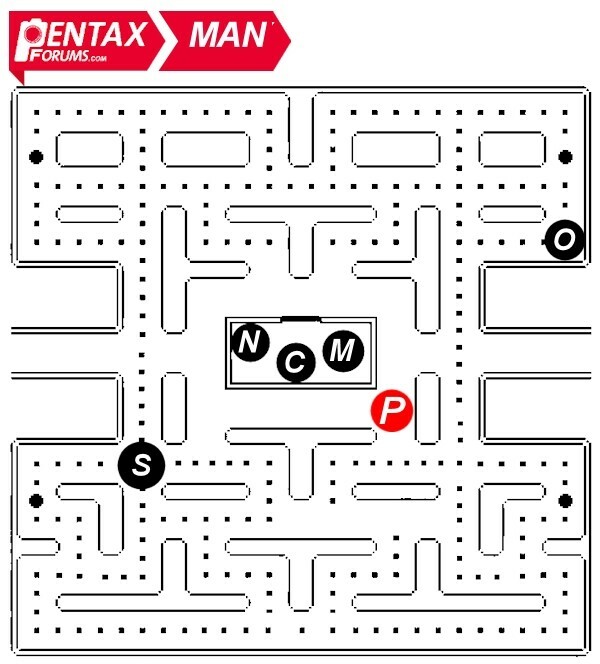 small ASAHI PENTAX logo on top left. We can't print other official logos. 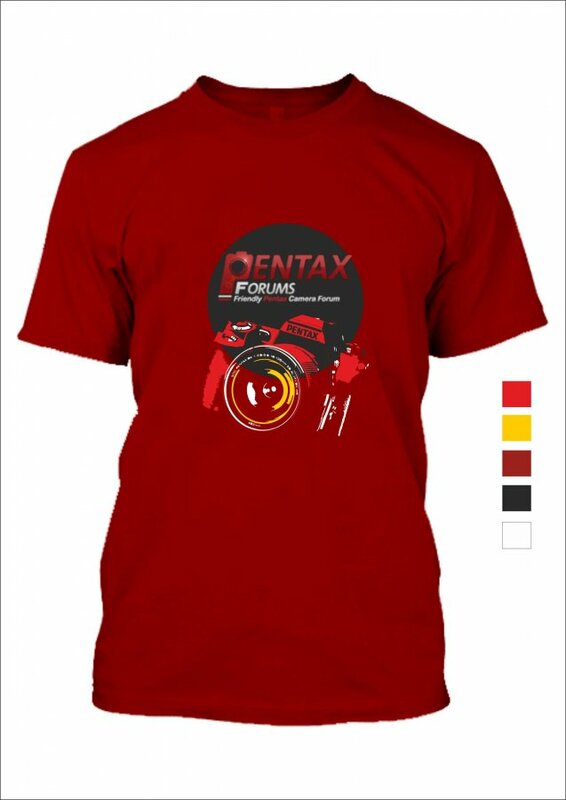 Remember these are Pentax Forums shirts, not Pentax or Asahi shirts. 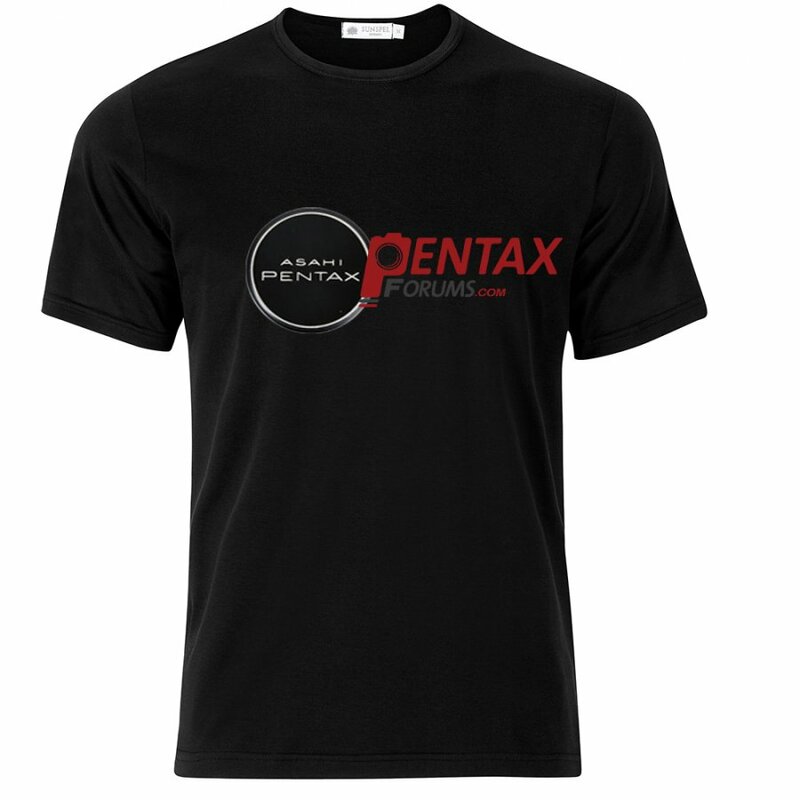 Everyone, I'm extending the entry period for this contest by just under a week. Voting will start next Sunday! 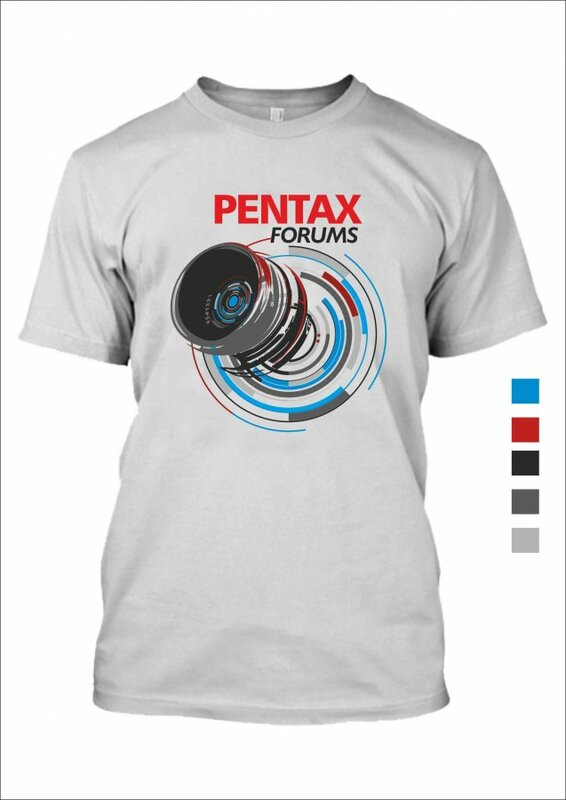 I understand, and do not mean to stir the pot... but then, why is it OK to use the K-1 body (for example) along with the forum's logo, but not the Asahi letterings? Honestly both would be copyright infringements if anything (K-1 body itself and an Asahi logo)... Or do we have some sort of permissions to use the new stuff? 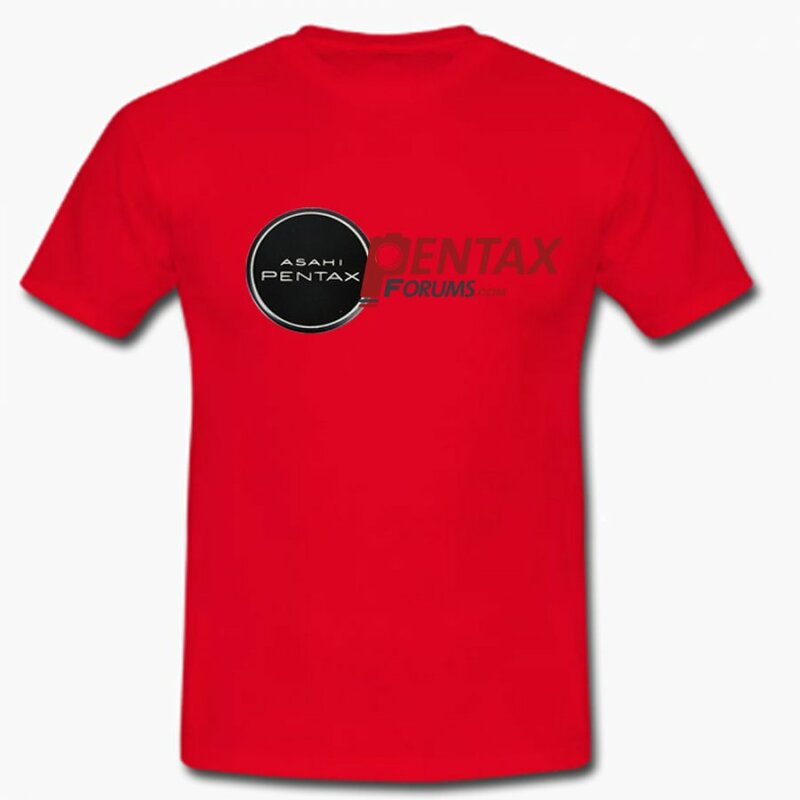 I discourage both in favor of original designs. 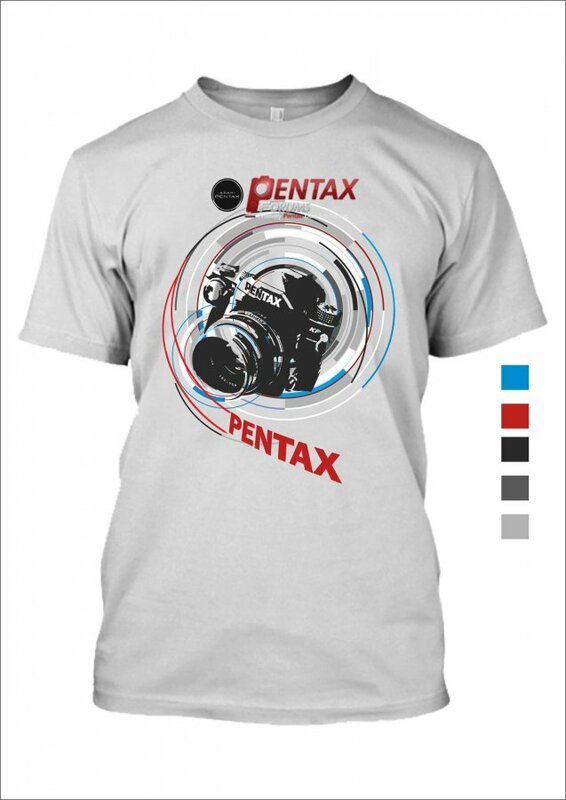 Last year we specifically did the K-1 shirts to celebrate the camera's launch, and obtained permission. Thank you, Adam, for this clarification. Much appreciated!